will take place on Sunday 31st March. The start/finish area will be at Saintswell Practice Centre (LD1 6PT). 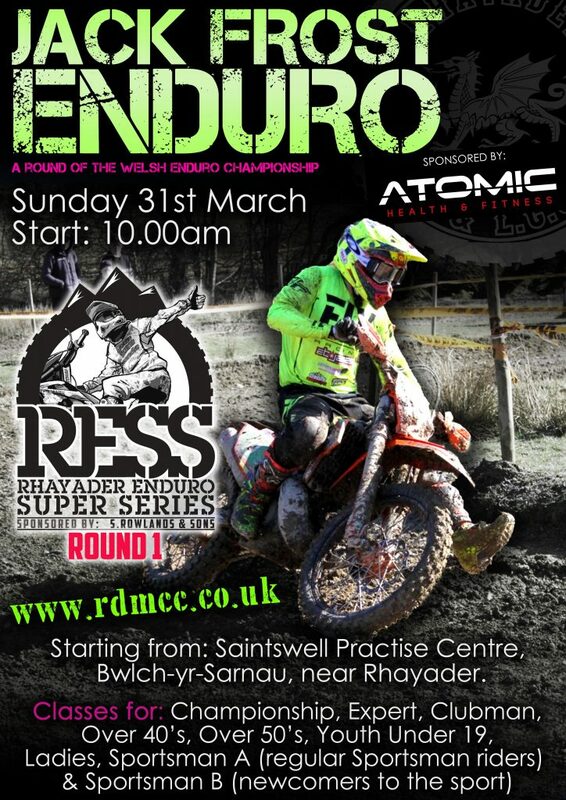 This is round 1 of the Rhayader Enduro Super Series (RESS). The route will use tracks in the Red Lion Forest making up a 15 mile lap. The special test & refuelling check will all be within the start/finish area. There are classes for: Championship, Expert, Clubman, Over 40’s, Over 50’s, Under 19’s, Ladies, Sportsman A (regular Sportsman riders) & Sportsman B (newcomers to the sport). This will be a round of the 2019 Welsh Enduro Championship. Hard standing paddock ~ good catering & toilet facilities ~ excellent viewing of the test.